Wax up those skis and boards, because the Best Snow in Idaho will be flying full-time starting this Friday. Fresh off a very successful ‘powder preview’ weekend on the Bear Chair and Easy Street, Brundage Mountain is pleased to announce that it will be opening top to bottom, for DAILY operations starting this Friday, December 7. The McCall, Idaho ski area has received 15 inches of fresh snow this week, a total of 30 inches since Thanksgiving. 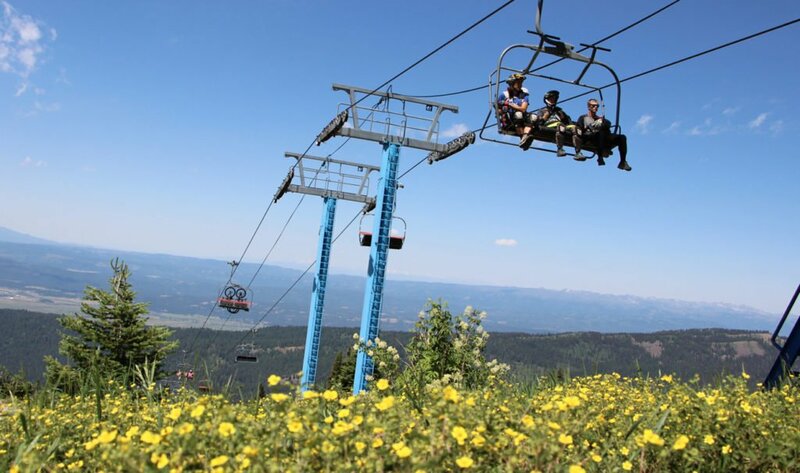 Brundage will kick off full-time operations with the BlueBird Express open from 9:30 to 4:30. Two full-length runs will be groomed top to bottom, Temptation and 45th Parallel. North, Main Street, Alpine and Engen will be open but ungroomed. Those slopes are recommended for expert powder skiers who are comfortable riding in ungroomed, early season conditions. The Bear Chair Triple, Easy Street Triple and Easy Rider conveyor will also be open daily from 9:30 to 4:30, with Griz, Badger, Bear, Red Fox, Easy Street, Tater Tot and Centennial Lane groomed out of the gate. Additionally, The Lakeview Bowl and Chair will open for ungroomed, expert powder riding. Snow depths range from 22 to 27 inches across the mountain. Winter temperatures are expected this week, with snow storms returning to the Brundage Mountain forecast starting this weekend.